One of the best things about living in a house with garden is that you have the possibility to have a deck. If you take care of it, it could become a wonderful feature of your home. 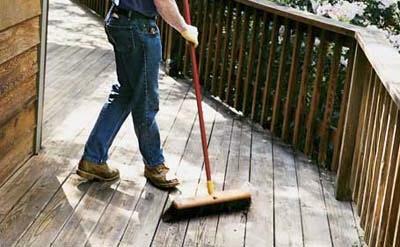 You should know that the care for the deck is an ongoing job and you constantly have to maintain it. 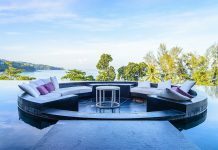 When thinking about the finish for the deck, there are three main aspects that you have to take into consideration: practicality, aesthetics and protection. If you are in favor of any of them, you will have to give the other two up. 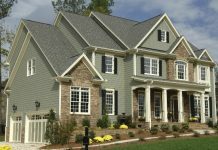 The most popular finish is the semitransparent stain that is easy to maintain. You should wash the deck on an overcast day when evaporation is slower. Remove everything from the deck and trim back the branches that might be touching it. During the process you should be wearing rubber boots and rain pants. 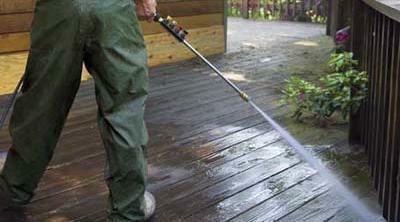 Use a garden hose to wash off all dirt and dust from the deck. 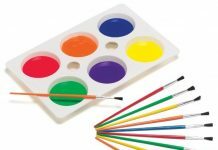 Put some latex gloves on and dip the brush in the cleaning solution. Make sure that you scrub in the grain’s direction. Start working on the top rail and then move on to the posts, balusters and top rail. Leave the deck boards for the end. The soap bubbles should guide you towards the uncovered areas. 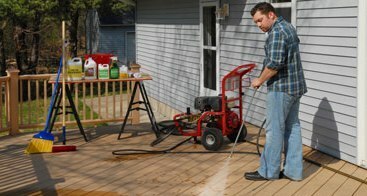 Allow the cleaning solution to act for 15 minutes and then rinse it off with a pressure washer or a garden hose. The water source shouldn’t be closer to the wood than 6-8 inches. You don’t have to hurry with this step. It is best if you work with only one board at a time. Before you start applying the finish you must allow the wood to dry. If the wood isn’t completely dried it won’t be able to absorb the finish. 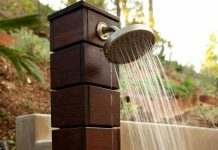 Usually the wood dries in about 4-5 days if there is no rain. Before you apply the stain you should sweep the deck. 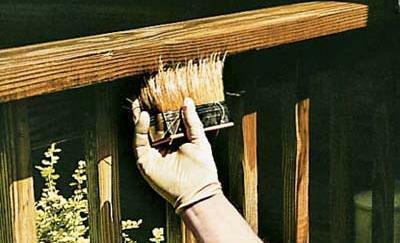 To apply the stain you should use a synthetic filament brush that is wider than the boards. The order should be the same as the order that you used when you scrubbed. 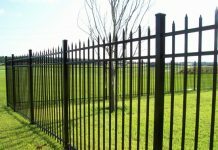 If there are drips or runs, you should brush them up immediately. 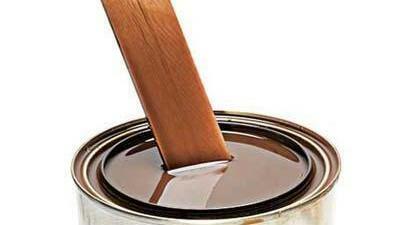 To achieve an even color, you should stir the stain quite often during the application.